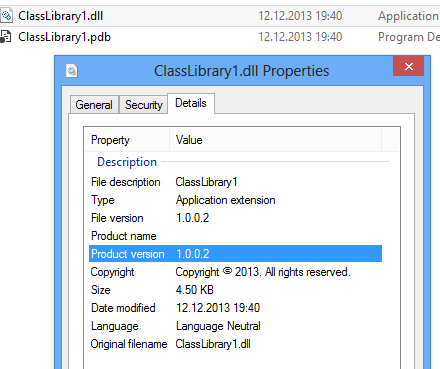 This post explains the steps in setting up a professional versioning in a .NET solution. 1: Create a GlobalAssemblyInfo class. 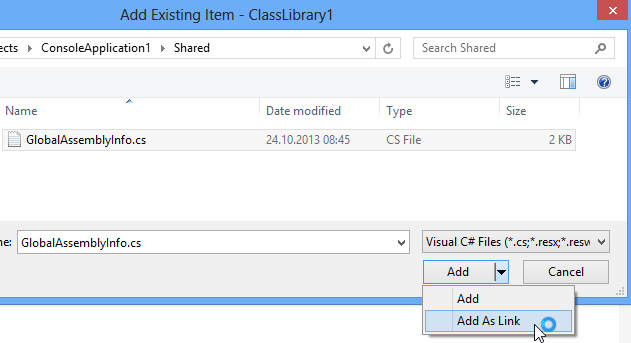 2: Remove all the duplicate information in each AssemblyInfo class in each project. This is what it looks like after. 3. Add the existing GlobalAssemblyInfo class as a linked class to each project. Once you build your solution, all assemblies are built using the version defined in the GlobalAssemblyInfo class. Now it is easy to set this version in a release build using msbuild. 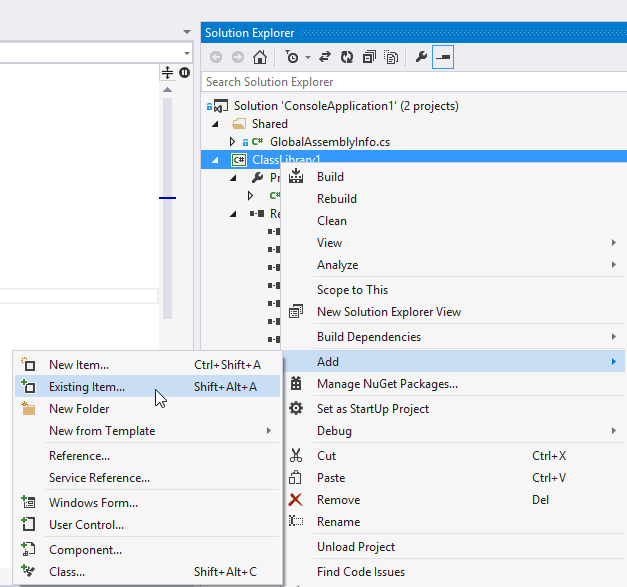 For example the NuGet MSBuildCommunityTasks provides a complete working example for this.